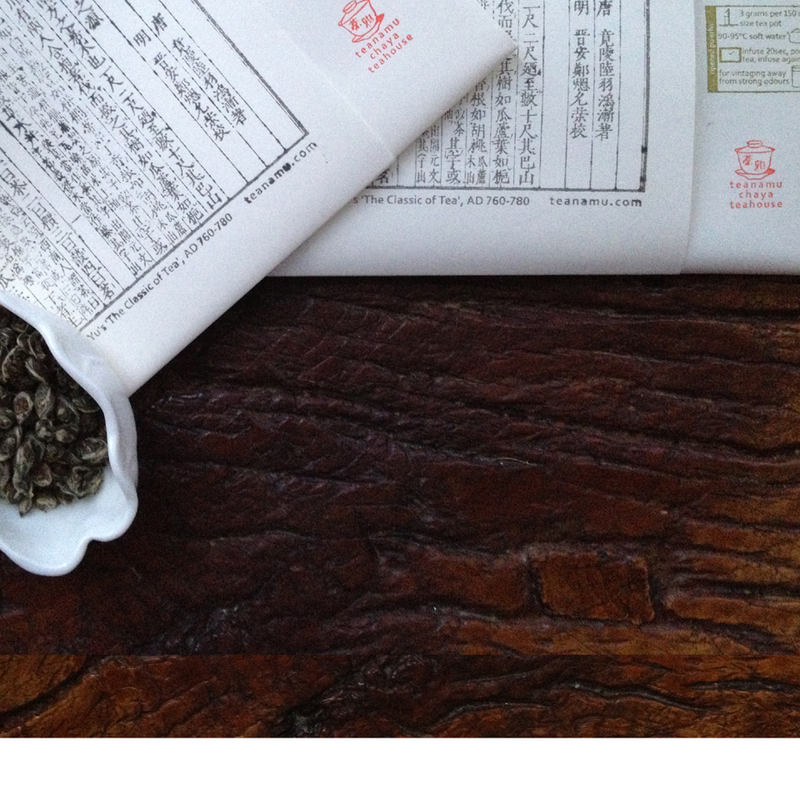 This green tea from Yellow Mountain, eastern China, has delicate, ‘sparrow tongue’ leaves and a fragrant sweetness with echoes of sweetcorn or lentils. Mao Feng means ‘furry summit’, an allusion to the fine down on the sparrow tongue-shaped leaves and to the remote Yellow Mountain peaks where the tea grows. The leaves are a yellowish green and at first, like feathers, float on the hot water’s surface. As they infuse, they produce a sweet liquor with hints of lentil and sweetcorn. Once upon a time, a beautiful maiden made tea for her suitors. If an image of her appeared in the steam above the cup, she’d marry that man. A wicked merchant stole the cup of her true sweetheart. An angry emperor had both men executed. The maiden’s tears mingled with the youth’s blood as she bathed him in mountain springs, and fragrant Mao Feng bushes began to grow all around.